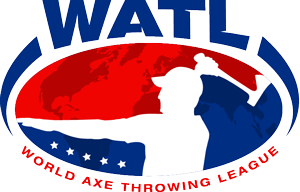 TOM O' HAWKS - IRELAND'S PREMIER INDOOR AXE THROWING ARENA! I was introduced to the weird and and wonderful world of Axe Throwing by a good friend on a camping trip in Northern Ontario, Canada. When I was told we would be firing hatchets (smaller axes), I must admit, initially I was a sceptic. This sounds dangerous?1 How would this work? Was there a scoring system? and..what’s the big deal anyway? "Surely Axe Throwing is just a novelty I would quickly get bored of", I thought. Well it turns out it wasn't just a novelty.. I was hooked instantly. Something visceral and cathartic had taken over. It was challenging, invigorating and the rawness of the sport drew me in deeper and deeper with every throw. Initially, I was hopeless, but after some good pointers and tips I was consistently sinking the hatchet into the ramshackle targets propped up on the makeshift stands and my scores gradually improved. The exquisite thud of the hatchet sinking into the quickly shredding 2x8 boards of pine was so brilliantly addictive and satisfying. For a moment, It almost felt as if I had been transported to a time when the axe was a tool of survival and warfare and that cold piece of metal I was holding was all I depended on. We played game after game until the sun went down and pitch darkness fell all around the campsite. That night we joked and laughed around the campfire, beers in hand, raucously re-enacting and vividly replaying scenes of the matches. I’ve rarely felt more alive and connected to all those around. It was like nothing I’ve experienced before. I mean I’ve thrown darts in the pub and loved every minute of it, but this sport ignited an excitement and passion like no other. The combination of skill, composure, concentration and competition kept me completely engaged and engrossed. Axe Throwing felt more than just a game for me. It brought about all that is best in the sense of community, camaraderie and friendly competitive spirit. I couldn't wait to play again.